Missions is hard. It’s long days in a place that isn’t your home. Or struggling to get a sentence out in a language that normally isn’t your native tongue. It’s sharing your faith with people who may completely reject it or mock you for it. There are unrealistic goals set against you. Missions is hard. That’s the truth. However, hard doesn’t mean impossible. Even if it does equate to the same idea in our mind, it’s a good thing that we serve a God who doesn’t believe in impossible. While missions can be hard, it does come with a few perks. Not to mention that it is also what God has called you to do with your life. Most missionaries realize that their job is to devote themselves to God completely. With this, there come perks, but that’s not the main focus for missionaries. Perks could never replace knowing that you are fulfilling the purpose that God has for your life. Traveling is an adventure waiting with doors open to amazing possibilities. Granted, traveling isn’t for everyone but, if you enjoy traveling, you should soak up every opportunity to do so. Life is only so long. There are so many reasons why traveling is essential; whether that be to see something new, or finally seeing those sights that everyone has told you about. It’s more than simply seeing something new. It’s about experiencing life outside of your own little world. As you travel, you are able to experience more, you are able to learn more, you are even able to make yourself “better.” Let me explain. As you go and see the world, you begin to realize how small you are compared to the world. A lot of the time we get lost in thinking about us. How can I grow more? What steps can I take in order to make sure I get further in life? The lens of traveling allows you to see this world as something else. You finally seem to be able to see the world for what it really is, and in reality how small you are compared to the billions of people that are on Earth’s surface. You meet all types of people, try all types of things, and finally see yourself as a person among the masses. Which isn’t a bad thing. This allows you to step out from your own world and live in the real world. And finally, maybe finally, you’ll have God’s eyes for others and yourself. While leaving in this real world, you are forced to try new things. Food: Each new culture you step into has these “must try” foods. And let’s be honest, who doesn’t like food? There is a story in each bite of the food you taste. How they tried time and time again in order to perfect this recipe, or in order to get it to taste just like Grandma’s home cooking. Cultures: Again, culture is unique to each country and even each town, in some instances. When you take time in order to experience the culture, the traditions, and the little things that make people who they are, it causes you realize how small you really are. Mindset/Worldviews: Seeing through the lens, in which people see the world, and how which they interact with the “norm” is an amazing experience. It allows you to see the world in a new light, causing your perspective to change. “I beg young people to travel. If you don’t have a passport, get one. Take a summer, get a backpack and go to Delhi, go to Saigon, go to Bangkok, go to Kenya. Have your mind blown. Eat interesting food. Dig some interesting people. Have an adventure. Be careful. So much to see, so little time to see all of it. Missions allows you to go out and travel the world while impacting lives and planting seeds. 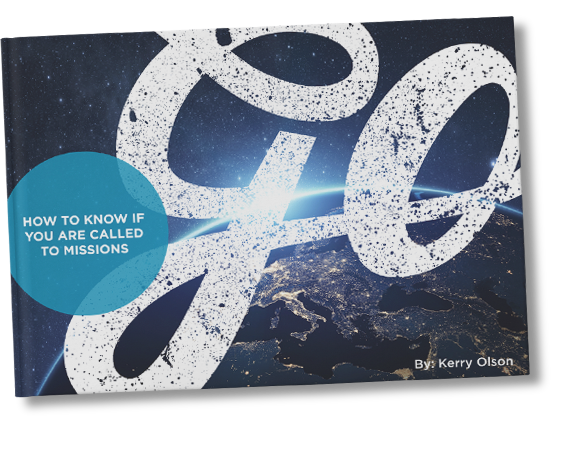 You’ll find out that missions is one of the only jobs that allows you to literally “go.” As it says in the Great Commission, “Go therefore into all the nations” (Matthew 28:19). Missions let you travel and see the world in a new light. While experiencing these “new” things, you are prone to come in contact with new people, to become friends with them. Whether it be the way that they laugh at your mistake while ordering coffee, or the literal running into them at the local market, friends will be made. There is a joy the fills Christians that seems to make us attractive to those around us. Not in a romantic way, but in the sense that we are able to cling to something when it appears that we have nothing left. Think about the truth found in 1 Peter, “Though you have not seen him, you love him. Though you do not now see him, you believe in him and rejoice with joy that is inexpressible and filled with glory.” We have a joy that is “inexpressible.” If we live in this joy and realize the power that it comes with, it’s not a surprise that people want to be around us. You have the autonomy and freedom to choose what ministries you are involved in. Most of the time, it’s hard to choose what you do within your field. There is normally a set amount of jobs that you can be in, or even just one practice that you can complete. But missions, it’s kind of up to you. You get the choice as to how you serve God and others. One of the aspects of BGU’s undergraduate program is that we have an internship for our students to go on. One amazing testimony we received is from one of the alumni, Cody Sanfilipo. God had given him a passion for skateboarding. Even though there was a season when God asked him to give that up, Cody was blessed in the end by being able to start a ministry in France with this passion. Cody’s story is definitely amazing, but it’s not the only one of its kind. God is moving through the smallest of things, and we can decide to allow Him to move through us and our passions as well. That is what God wants to do. Missions gives Him the “go ahead”. As missionaries, we are dedicating everything we are to Him and His plan. And when we are in these all in mindset, we see God on the move. Since you are immersing yourself in the culture and you are experiencing as much as you can with the people, you are prone to pick up the language quicker. In saying this, you are simply living life with the people. You’ll learn so that you communicate. It’s not going to be the big flowery words at first, you’ll probably start with questions that you need to know. “Where’s the bathroom?” “I’m lost,” “Hi, I’m ______” will probably be some of the first things you say in this foreign language. Why? Because these are things you will practically use. As a missionary, you are in an environment where you need to learn the other language. We are called to love these people, and we can’t do that well if we can’t talk to them and tell them about Christ. You can’t rely on them to learn your language just so you can communicate with them. You are trying to meet these people right where they are. That can sometimes mean a thick accent in a foreign language but that gives you the incentive to learn. Plus, it keeps your language going. A lot of the time we learn a language and then lose it because we aren’t actively using it. However, again, you are using this to communicate. It’s going to be hard to not use it when you are with people who use it to simply live. Why are the Navy Seals praised? Is it because they are in a tough situation? Or maybe because we wish that we could do that? Or even Michael Phelps, why is he looked up to? Is it because he was able to earn countless of golden medals in the Olympics? Or because there was a lot of dedication that went into getting Him there? It’s because this world looks at them and realizes that it is hard. The things they do take time, dedication, and a lot of work. Not just anyone is willing to do that. It’s similar to a missionary. You remember all those hard things I listed at the beginning? Most people know some of the risks that are in place when people devote their whole lives to God. And most people are unwilling to give everything, however, they respect those who can. A lot of people try to shy away from hardships because the reality is no one like to go through hard times. Yes, it can be a refining process or even a chance to grow. But it really isn’t a fun process. Think about the process that goes into refining gold, it requires a lot of heat and pressure. In time though, that process makes a beautiful and valuable peace of metal. So when there are individuals who step into those hard times, especially with a Christ-like attitude, the world sees it. When we are able to make this verse a reality, the world sees and stands in awe of our faith in God. They begin to honor the God that is granting you a surpassing peace. And yes, there are going to be those who think you are wasting your time or could be doing something better with your life. But, what greater joy is there than loving people and loving God? For we get to give everything we are to those around us, and we get to do it as a job. I can’t think of a better calling than that. We live in a world that is driven by the dollar sign, where earning money seems to be much more important than making friends, or helping others out. But as a missionary, you start to realize that there is so much more than the mundane world that we live. The things we have, or the car that we drive; that’s not what defines us. I always laugh a little when people talk about how we need to share the life Christ has given us. Not because I disagree with them, but because we have a lot more to share. We have the truth, and an identity that isn’t shaped by the things we have, or the people who like us. We are defined by the God of all the universe and loved by the one who placed the stars in the sky. God has blessed us with love, joy, hope, a purpose. And that’s part of the reason why I love seeing those people who are driven by their heart for people. You have all these things that God has blessed you with, and now it’s your job in order to just love people. It’s your job to share everything that God has given you. Share your hope with the hopeless. Your love with those who feel unlovable. Your life with those who are who simply in need of a friend. It’s your job to be the hands and feet of God. To be driven by the people of this world and not the things of it. When you are in a new place when you don’t know the next steps when you have little to nothing you find yourself realizing that you need to rely on God. Through it all, you find that you need to be close to the God that is guiding your life, helping you through every moment. Proverbs 3:5 says, “Trust in the Lord with all of your heart, and lean not on your own understanding”. Even the wisest person alive, Solomon, knew that we must trust in God with everything we are. For apart from Him, we are nothing of purpose or worth. And we have no hope to get through the hardships. We, in our human nature, are weak and filled with fear. But God didn’t give us the spirit of fear but of power and of love and of a sound mind (2 Timothy 1:7). For the truth is, in the midst of the hardships and the problems we face as missionaries, the only stable foundation that we can cling to is God. God promises us that life is going to be hard, that we are going to need His strength in order to continue fighting through the mundane. There is one thing that we can’t do in heaven: evangelize. Knowing that we know the truth, but we are hiding it out of fear… it doesn’t make sense to me. If God was coming back tonight, and you knew that for sure, you would go around telling everyone about God. Why don’t we do that now? The reality is that today could be the day that God comes back. This moment as you read these words, the sky could break open and Christ could come home. We don’t know. So why should we fear the ideas that someone might have of us for a couple of years, instead of the judgment of God that will last an eternity? Take a second and just think. Think about the those who are hurting, broken, and lost without knowing it. You have the answer to help these people… why don’t you? I was once told that everyone has a little “world-changer” in them; a passion they have to do something of an impact with their life. If that’s true, we can radically shake this world with the truth of God. All we have to do is share the truth that we are basing our lives on. By sharing this truth, we open the doors for God to move deeply and often in people’s lives. Missions isn’t simply a job, it’s a lifestyle. I’ve been asked multiple times why I wanted to be a missionary. The only answer I can think of? It’s more than just the here and now. There are so many jobs that focus on helping people here or bettering their life on Earth. And that’s not bad, but why focus the here and now, when there is an eternity waiting for us beyond? One of the best illustrations that I’ve heard was by Francis Chan. He explains how there are too many people focus on the short time we have on the Earth, even though Paul makes it clear that we should invest our lives for the moment we cross into eternity. Far too many people spend life worrying about the years that aren’t promised. There is a lot that isn’t promised about life. Like your next breath. Luckily this life isn’t about you. That’s right, this life isn’t about you; you are simply the one living this life. We are instruments for God to work through. And though we don’t deserve it, God is willing to work through this life. He wants to use you. Are you willing to let Him? He wants to move within your passions and stir your heart for His will. Can He do that through you? He wants to change lives through you and impact the world for His glory. Are you okay with that? I can’t answer that for you, but, for me, that type of life is the only kind that is worth living. For that is truly living.